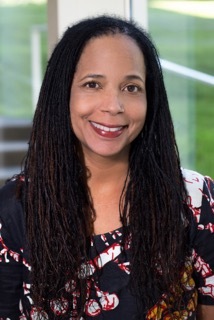 Featured Keynote: Dr. Helen Neville is a professor of Educational Psychology and African American Studies at the University of Illinois at Urbana-Champaign. She is a Fellow of APA Divisions 17 (Society of Counseling Psychology) and 45 (Society for the Psychological Study of Culture, Ethnicity, and Race). Dr. Neville has received numerous other awards and recognitions, including as a Fulbright Scholar in Tanzania in 2015-2016, the 2011 Psychologist of the Year from the Association of Black Psychologists, and the 2014 Janet E. Helms Award for Mentoring and Scholarship. Her scholarship focuses on the areas of race, racism, racial identity, and diversity issues in well-being. She has authored or co-authored over 60 peer-reviewed articles in journals such as the American Psychologist, Cultural Diversity & Ethnic Minority Psychology, The Counseling Psychologist, Journal of Counseling Psychology, Journal of Diversity in Higher Education, and Journal of Black Psychology amongst many others. Dr. Neville has also co-authored or co-edited 7 books, including Contextualizing the Costs of Racism for People of Color: Theory, Research, and Practice with Drs. Alvin Alvarez and Christopher Liang and The Myth of Racial Colorblindness: Manifestation, Dynamics, and Impact with Drs. Miguel Gallardo and Derald Wing Sue. Finally, Dr. Neville is a former Director of Training for the Counseling Psychology doctoral program at UI-UC. 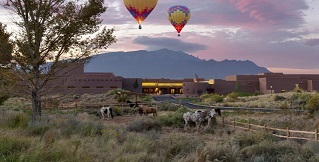 Please click here to make your reservation and for more information about the hotel. Room rates are $175 single/double plus applicable taxes. Hotel cutoff date is January 9, 2019. Although a resort fee may appear in your reservation confirmation, please note this has been waived and you will not be charged for this. Albuquerque International Airport Information - Click here. Airport Ground Transportation Information - Click here.